Mobilize.Net accelerates and simplifies the process of bringing software applications forward to web and mobile platforms. Tom led product management for the first six releases of Visual Basic and is perhaps best known for his work building Visual Basic into the world's most popular development tool of the client/server era. Tom also oversaw global marketing for Windows, Microsoft's $12B flagship product, from 2003-2005. Tom has a BS in Electrical Engineering and Computer Science from Princeton. 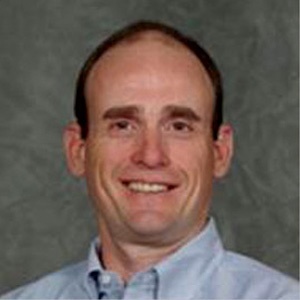 Tom holds six patents and spends his free time coaching youth soccer and baseball..
As Chief Product Officer, Rick LaPlante is responsible for technical, architectural and strategic product direction for Mobilize.Net. 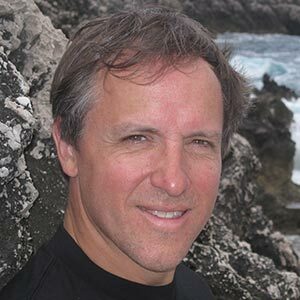 LaPlante has one of the most impressive technical backgrounds in software development and technology with a rich history in compilers, operating systems and technology frameworks. He served as General Manager of Microsoft’s Enterprise Tools team and led the engineering team in the delivery of enterprise-ready software tools around the world, enabling customers to build global-class applications on top of Windows and the .NET Framework. Mr. LaPlante, joined Microsoft in 1988, where he held a variety of positions including Software Design Engineer and Group Program Manager for the C++ compiler product line, and Development Manager of Microsoft's Internal Tools engineering team. Mr. LaPlante has written and lectured extensively on topics such as software development lifecycles and Visual Studio .NET. He was most recently running and working his own cattle ranch with his wife and daughter. While managing his own herd, LaPlante couldn’t keep his hands out of software as he worked on the design and development of agricultural and ranch management software. Microsoft Store, Pinpoint, Windows Marketplace, Visual Studio, Visual Studio Team Edition, Visual Basic, MSDN, Access, Foxpro and Visual C++. 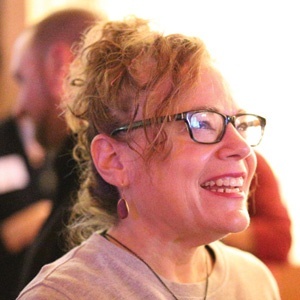 In addition, she has worked extensively to build the Microsoft partner ecosystem having built and managed the Visual Studio Partner Program, Windows logo program and numerous partner initiatives. She also spent several years as a product planner working on Microsoft infrastructure for ecommerce and anti-piracy technologies. Prior to Microsoft, she ran marketing for ButtonWare, the first shareware company. Carlos Araya has been recognized as the most important contributor to the IT industry for the development of Costa Rica, helping to position the country as a world-class supplier of technology and services. Throughout his career, Carlos has been an active entrepreneur in key private and public ventures and has received much recognition in technology innovation. In 1993, Carlos founded ArtinSoft (now Mobilize.Net), world leader in software transformation solutions, and was its CEO and Chairman for 15 years. 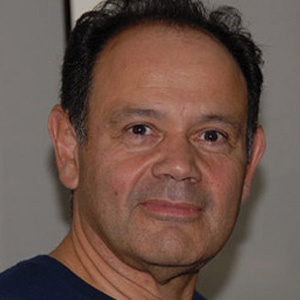 Carlos is a founding member of Capital Empresarial Centroamericano, the first technology investment group in the region; of Cenfotec, lead institute for IT education; and founding Chairman of the Computing Research Center at the Costa Rican Institute of Technology (ITCR), where he chaired its Department of Computer Science. Carlos holds a PhD from the University of Kansas, an MSc in Computers Science and an MEng in Operations Research from Monterrey Institute of Technology, and an Engineering degree in Information Systems from ITCR. Iván co-founded our company and has been the technical force behind its intellectual capital and powerful migration tools set. Ivan has successfully migrated hundreds of legacy projects and manages a team of 100+ engineers who have created the migration technology, migration products and who deliver services for worldwide enterprise clients, like Microsoft, Boeing, CitiGroup and Duke Energy. He is also responsible for the execution and refinement of the company’s technology management, development and project management processes. Previously, he was President of Ziptek Inc., a technology-based company dedicated to consultancy services in automation networks. 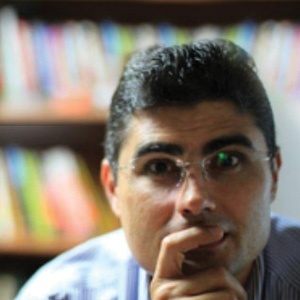 Iván holds a Doctorate in Computing from the University of Oxford, England, a Master’s degree in Computer Science and an honours Licentiate degree in Electronic Engineering from the Costa Rican Institute of Technology (ITCR). His doctoral work titled “Data refinement by rewriting” was supervised by Professor Sir C. A. R. Hoare, Turing Award 1980, and Dr. Michael Spivey, under sponsorship from Microsoft Research, Cambridge. His areas of interest include automatic program transformation, tools for program analysis and program reengineering. During his research work, Iván also visited Microsoft Research, Redmond, and worked for the Intentional Programming Research Group, led by Dr. Charles Simonyi. He was also a member of the Programming Tools Research Group, Computing Laboratory, University of Oxford. In 1993, he won the National Electronics Award, in the Research Category, awarded by the Costa Rican Society of Engineers and Architects. He has also been a faculty member of both the ITCR Computer Science Graduate and Post-Graduate Departments. Federico co-founded the company and has been a leader in application legacy modernization for over 15 years. 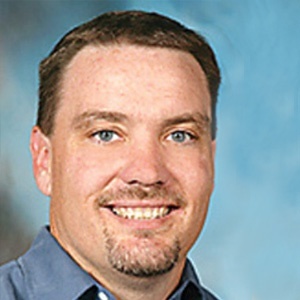 He is a regular presenter on legacy application migration at top technology events including VSLive!, Microsoft //Build, and Microsoft TechEd. He is also a prolific writer of many papers, articles, blog posts, interviews and co-author of one of the few books on Automatic Software Migration. With a technical background (Ph.D.c. from the University of Florida) combined with hands-on management in real world legacy migration projects, Federico is passionate about the intersection of the technical challenges and the business need for automated transformation. Previously, Federico was product manager for several different technologies at ArtinSoft, including the creation of the only two third party migration tool that shipped with multiple versions of Microsoft Visual Studio.NET. Federico successfully led a team of engineers and testers to ship technology that met Microsoft’s shrink-wrapped software quality standards that was distributed to millions of users. Former ArtinSoft Board of Director member Craig Bruya is retired from Microsoft Corporation, where he most recently served as chief financial officer of Microsoft Business Solutions. During a hiatus from Microsoft he taught MBA and Accounting classes at Seattle University and the University of Washington. Prior to that, he spent 12 years at Microsoft in executive finance positions primarily in Microsoft International as well as nine years with the audit division of Arthur Andersen & Company in Seattle, Brussels, Belgium and Athens, Greece. Craig also serves on the Board of Directors for Room to Read and is President of the Board of Directors of The First Tee of Greater Seattle. He is also involved with Social Venture Partners, the Western Golf Association, Kindering Center, the USGA, the Microsoft Alumni Foundation and the Evans Scholars Foundation. Craig is a graduate of the University of Washington. Raj Biyani, a 17-year Microsoft veteran, is the former Managing Director of Microsoft IT India, where he was a leader for the 1,200+ member Microsoft IT India engineering center from 2010-2015. The transformational journey of Microsoft IT India where the organizational leadership index moved from 51% to 99% under Raj Biyani’s leadership has been featured in a Harvard Business School case study. Raj is a tireless advocate for increasing the value-add and impact of multinational corporations (MNCs) operating in India, and towards that end, co-produced a documentary featuring MNC leaders in India, “Inventing the Zero, Reaching for Infinity: The story of India and its IT industry,” that was telecast on CNBC. Before relocating to India, Raj worked on several engineering teams within the Microsoft product groups, including the Windows Marketplace team (precursor to the Windows Store). 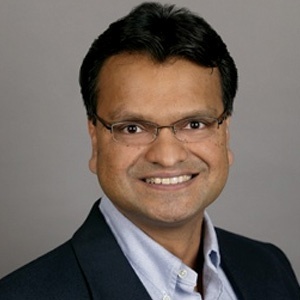 As General Manager in Microsoft IT, Raj helped shape and accelerate Microsoft IT’s cloud strategy through the internal evangelism and adoption of Microsoft’s Azure platform through development and deployment of the first Windows Azure LOB application. Raj reflects on his learnings on moving to the cloud in a book he co-authored" “To the Cloud: Cloud powering an Enterprise” – the Why, What, and How of enterprise cloud adoption, which highlights the key lessons learned and shares a 4E conceptual framework (Explore, Envision, Enable, Execute) for CXOs to leverage. During his seventeen years at Microsoft, Raj was awarded several US patents, one EU patent, and established himself as a thought leader by authoring or co-authoring ten “ThinkWeek” papers for Bill Gates. Raj holds an MBA with honors from the University of Chicago Booth School of Business. Paul is currently Executive Vice President, Engineering at You Technology Inc. Past roles include Co-founder and CTO of Emotive, where he conceived and designed the Emotive Cloud Platform for enterprise mobile computing. Before that, Paul was an Architect at Oracle and a founder & CTO at AmberPoint where he directed the technical strategy for the AmberPoint SOA governance products. 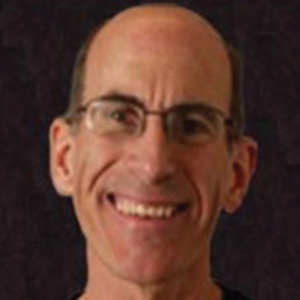 Prior to AmberPoint, Paul was a Distinguished Engineer and Chief Technologist for the Developer Tools Group at Sun Microsystems and a founder, Chief Architect and Senior Vice President of Forte Software. Paul also served as Chief Systems Architect at Ingres. Paul holds undergraduate and graduate degrees in Computer Science from UC Irvine.